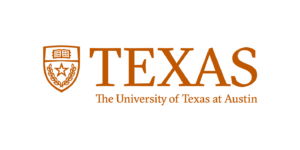 Coalition Institutions of Higher Education (IHEs) are based in the Central Texas region and have an ongoing, formal relationship with E3 Alliance that allows for regular joint planning with IHE leaders, collaborative activities and shared strategic planning and practices. Collaborating IHEs are based outside the Central Texas region but work with E3 Alliance on ongoing projects or initiatives. Community groups and nonprofits across the region have worked with E3 Alliance on collaborative projects and initiatives, design of The Blueprint for Educational ChangeTM, joint grants, and other Collective Impact activities to support higher outcomes for the students of Central Texas. Business and industry groups generously support our work through monetary and in-kind contributions, strategic leadership, collaborative projects and initiatives, design of The Blueprint for Educational Change™, and other activities to support higher outcomes for our Central Texas students. …and multiple individual contributors to whom we are grateful!